At Animal Control Solutions we focus on providing complete solutions. We are your commercial bat control experts! Commercial Bat Control services are common services provided throughout Columbus and surrounding Ohio areas. Our bat control experts remove bats from all types of structures including schools, churches, warehouses, government buildings and apartment complexes. Our trained experts will safely and humanely remove bats from your property. Bats are very beneficial to the environment, but should never be allowed to cohabit with humans. There are many health risks related to bats including rabies and histoplasmosis. Bats and guano should never be handled without the proper safety equipment. Animal Control Solutions has all the proper safety equipment, along with trained bat professionals that will safely remove bats according to state and federal laws. Only a trained, licensed wildlife control company should be hired to take care of a bat problem. Often times pest control companies are not properly trained to handle bats that leads to a reinfestation or not ever gettind rid of all the bats. Rest assured Animal Control Solutions will completely solve your Columbus Bat Problem! 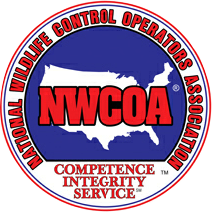 Animal Control Solutions wildlife control technicians are specifically trained to handle all types of bat problems. 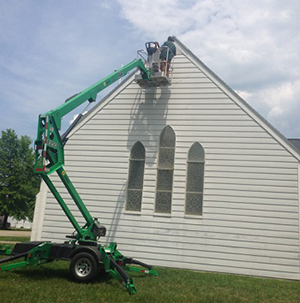 We specialize in the removal of bats from commercial structures including churches, warehouses, apartment complexes and other commercial buildings. If a bat colony has been detected, our experts can determine the size of the colony, how they entered the building and the best exclusion method necessary to get rid of them. We provide a complete solutions from getting rid of the bats, to making necessary repairs and removal of hazardous guano. We see your problem thorugh to the end. Give our bat control experts a call today for an onsite evaluation of your bat problem. 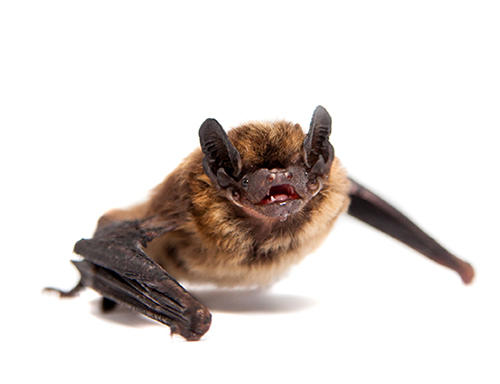 Animal Control Solutions takes pride in offering customer complete, effective solutions to appropriately handle all types of bat and nuisance wildlife problems. All of our Wildife Control technicians attend annual bat standard courses to keep up with new and innovative bat control techniques. Often times if bats are within an attic structure such apartment complexes, or churches they will damage insulation with bat guano. This contaminated insulation will need to be removed and replaced. Our company provides complete insulation services inlcuding the removal of bat guano. Often times an insulation company will not remove bat guano contaminates becuase of the health risks and lack of necessary equipment. Regardless of the type or amount of insulation our bat control experts will remove and replace it. Call us today to discuss insulation services 1-877-ACS-WILD. Generally whenever bats are present within a structure, there will aslo be bat guano. Once all bats have been removed from the structure then the process of removing the guano can be initiated. Guano can contain harmful bacteria and fungus that is known to cause histoplasmosis. The fungus is spread by the breathing in of spores. Safety precautions and equipment should always be used when handling bat guano. We use Hepa vacuums and proper safety equipment when handling the removal of bat gunao. Animal Control Solutions owns all necessary equipment to remove guano safely from your property, call us today for bat guano removal. Animal Control Solutions is a nationwide wildlife control company that provides bat control services throughout the State of Ohio including the areas of Columbus. Columbus area Bat control services are provided throughout the following counties. If your county is not listed give us a call at 877-ACS-WILD.